The call you’ve been waiting for has finally happened: an agent ACTUALLY wants to represent you! 😆 But before you say yes, there’s some vital questions to ask an agent and you don’t want the excitement to trip you up. I broke out the questions for you below. Be sure to print out the free questionnaire here so you don’t forget any of them. 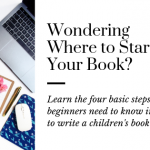 These are questions you are going to want to ask that are SPECIFIC to them selling your book. I know a person whose agent waited a WHOLE year before even sending anything out! She needed to ask these questions. The average is 15% for most agents, however, some may vary. It’s important to know up front what the cost is, so you know what will come from your advance. And it’s not rude to ask. It’s business. Is there an agency agreement? Why or Why not? This is agent specific. Some just agree on their word, others are more formal. If there is an agreement, you need to request to review it! Never sign something without reading it. What is the termination policy? Like in all relationships, breakups happen. Don’t get stuck holding the short end of the bad match stick. Know what your out is before hitching literary wagons. How many clients do you have? What are a couple of the last books you sold? An agent’s sole purpose is to sell your work. You want to know if they can do that PLUS have time to give to you as a client. Big agents are great for sales, but not if your work doesn’t get any attention. Every person–not even agent–is different. Make sure that they’re going to vibe with you. If you like to pick up the phone and they like to send emails or vice versa, you may run into problems. Know what to expect and be sure that it’s something you can work with. What is their submission style? This is an interesting one and something I know is different based off my friends’ agents. Some agents only submit to big houses, some submit in batches. Some tell you about the rejections, some are hush hush. 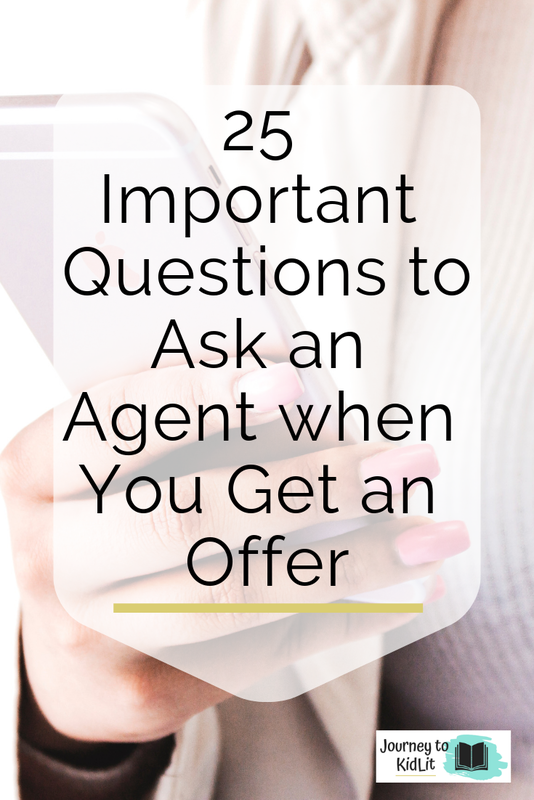 This is a super important question to ask an agent, as it’s going to be what you need them most for. What if the book doesn’t sell? It happens. I wish it didn’t but some books just aren’t right for the market. Either right now or ever. Be sure to ask an agent what that means for you as their client. Some people love an agent that works as an editor, and a lot of agents love to be editorial. However, you will need to decide what kind of make or break this is for you. To edit or not to edit–that’s the question you’re asking here. What is the editorial direction they have in mind for your book? Where would the book be shelved? This question is important for the pitch. Do they think it’s a Sci-fi YA, where you were thinking a magical MG. Or a board book vs a picture book. How your book is pitched may affect the sale, so be sure you know upfront what their thoughts are. What imprints do they see for this book? Gotta love a vision. Maybe they knew the exact editor to send your story to. And the only way to know is if you ask! Has the agent sold something similar? This is more in terms of large genres. For instance, maybe they’re a top agent for picture book sales, but they’ve NEVER sold a YA. And your book just happens to be a YA. Can they sell it? This is another pat-yourself on the back with sugar and excitement kind of question. We all love praise on our writing from our critique partners and writing groups. But from an agent? Swoon! This question really helps you know the parts of your story that mattered to them, which will affect the pitch and potential sale. What does the agent read for fun? This is important to get an idea of their taste. Especially if you have other books you will want to send later or ideas you’re playing with. If you get an agent that doesn’t like that kind of book, then they may not want to sell it. How do they give notes? 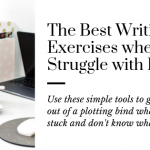 Just like with the editorial process, you’ll want to know how to accept their notes. (And there will be notes, don’t worry.) But make sure that their process is something that you’ll be able to understand and execute. Do you plan on writing more books or are you a once in a blue moon kind of writer? This is going to matter to the agent. And it should matter to you. If you don’t know the answer, think about it now. Bleh. Such a hard question because the answer is almost-always: LITERALLY ANYWHERE. But still, prepare to be asked. Do you have a day job? How do you make time to write? This is important to know how committed you are to writing, especially as a career. There is no right or wrong answer to this question. But it DOES matter to know if this relationship is a good fit. Think seriously about what you’re wanting from an agent. 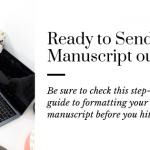 This will matter if they would like to pitch your book as a series and for future writing projects. Don’t fudge the numbers. Be honest about your time here. 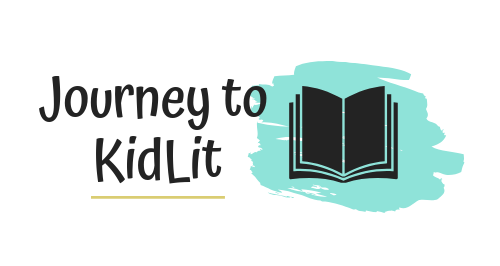 Especially for picture book writers, a lot of agents want to see multiple projects so they know that working with you will be a worthwhile investment. After all, they can’t make money if they don’t have a book to sell. Reading is one of the BEST things you can do as a writer. It’s ok to read adult books, too, but be sure that you’re reading/developing a taste for specific styles in the genre you write. Don’t worry. You don’t have to have a huge platform in order to land an agent–the writing will weigh in heavier. However, it’s good for the agent to know that you at least understand social media, so that you’ll be able to share your book when it’s time. If you need some help, read this article to help you use social media as a writer. Has anyone else asked to rep you? No biggie if there are multiple offers, or just the one. But be transparent about your situation no matter what stage you’re in. Do be honest about where you’re at in your process and what you’re looking for. Do offer your editorial vision for the book. Don’t get too personal with the agent. This is business. Remember to HAVE FUN! Getting the call is one of the first step to sell your book. Don’t be afraid to ask questions, but do remember it’s a conversation and it’s your job to keep it going. Also an agent will normally give you around 2 weeks or a little less to decide, so make sure to use that time and DON’T rush your decision. Getting a bad agent is sometimes worse than no agent at all. PS. Don’t forget to download the free questionnaire to have handy during your call! 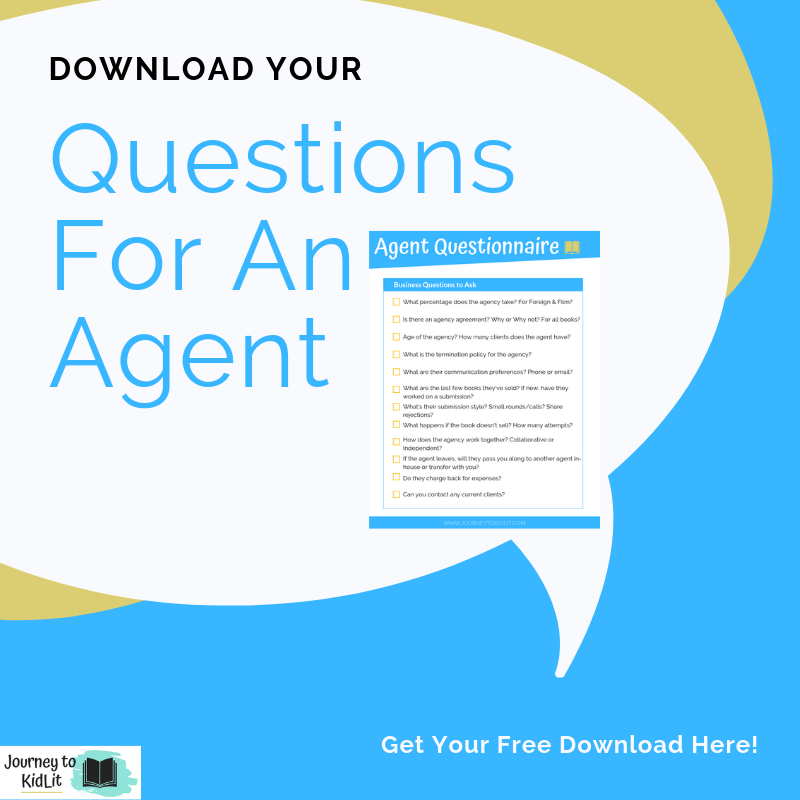 The Questions You Should Ask an Agent!